How will you use your wall bed? Depending on your needs, we can design side piers – or even an entire room – full of custom cabinetry that works perfectly in your space. 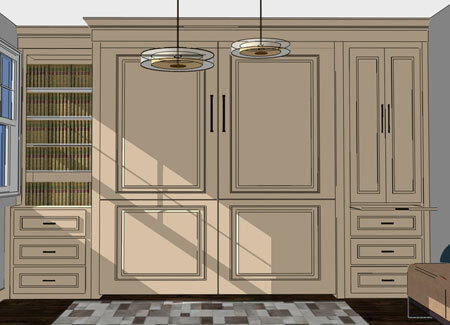 And you can choose the style of the crown molding, feet, doors and panels. 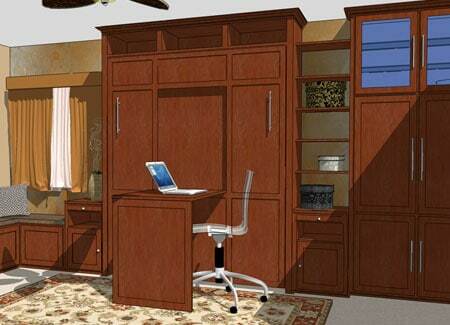 Whether your Murphy bed is going in a master bedroom, child’s bedroom or guest room, why not add built-in storage space that addresses any and all needs? 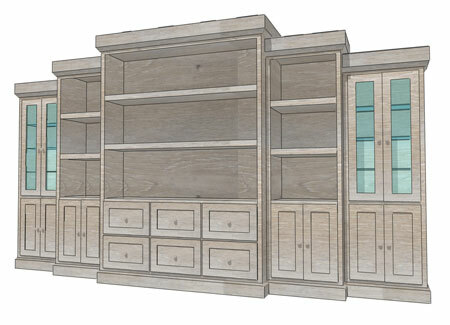 Some ideas for custom built-in cabinets in a bedroom include a closet, vertical pullout shoe racks, dresser drawers, vanity with makeup lighting, full-length mirror and purse or tie storage. 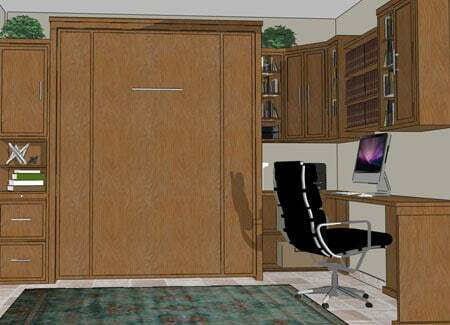 In a home office, your Murphy bed can easily be surrounded by custom cabinetry that performs any variety of functions. 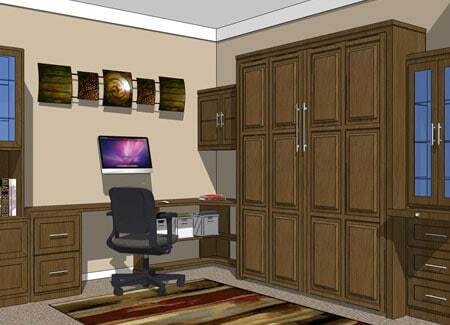 Many home offices include wall beds with built-in bookcases, filing cabinets, desks or returns, computer and equipment storage, supply drawers, credenzas and more. A wall bed in your living space often needs to perform multiple functions, as well. We can easily incorporate built-in cabinets along one or both sides for your television set, gaming systems, audio system, DVD storage and anything else your family uses for entertainment. All of these options are for floor-to-ceiling cabinets which are securely affixed to the wall around your fold-down bed. At Murphy Beds of San Diego, we specialize in creating custom sleeping and functioning solutions for your space. We can take any standard model of wall bed we carry and add custom cabinetry that blends beautifully with your existing décor. Our team will take measurements to ensure you are getting exactly what you want and that it fits in your space. 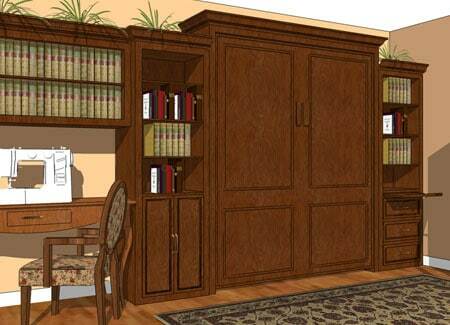 Then our installers affix the cabinets to the wall around your Murphy bed – or even install them around the entire room, if that is what you ordered. 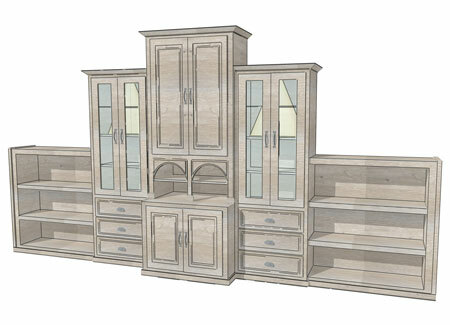 Or, we can start from scratch and design a wall bed, along with custom cabinetry, that is exactly what you’ve imagined. There is no project too big or too small, or too complicated, for our expert team of sales professionals, designers and installers. 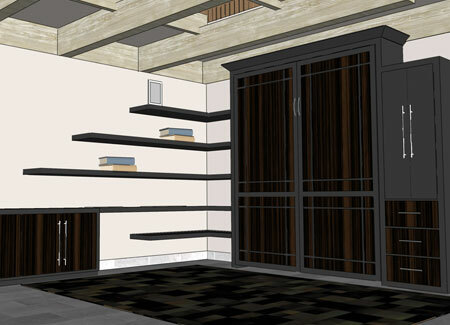 Custom built-in cabinets take your wall bed to the next level of functionality.